I have spent 30 years as a counselor/psychotherapist. Over those years many clients have needed help outside of the therapy venue to assist them in coping between sessions. And perhaps more importantly many clients have found or been introduced to options that have significantly curtailed their need for counseling and even removed the need entirely. 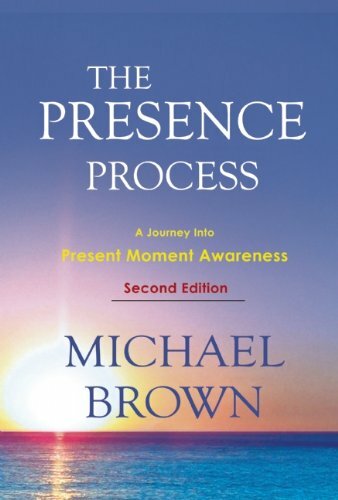 I don’t quite remember how I came across The Presence Process. However it was about 8 years ago. It immediately resonated with me and my experience with it personally, and for my clients as they have reported to me, has been transformative. I have offered the book to new and ongoing clients on a fairly routine basis over the past several years. In some instances I have suggested they do the process and if it does not help them they can then return to therapy with me or someone else. I recommended it to one shocked client after our first session. He was struggling with maintaining emotional intimacy in a very important love relationship he was in. He did not understand why and wanted to fix it. I told him that “perhaps your intimate energy is simply struggling to flow because of some uncomfortable energy that you are avoiding experiencing. I’d like to work with you, however Instead of returning to see me... get this book, try it, and let me know how it goes.” I did not charge him for the consultation. I did not hear back from the client, however one day I was walking through our local farmer’s market and I see a gentleman who I think I recognize walking towards me with an armful of various vegetables. He thrusts them into my arms and tells me how “thankful” he is for my recommendation of The Presence Process and that “it changed my life.” I told him how pleased I was that it helped him, suggested he didn’t owe me anything, but he insisted I take the veggies as his thank you. There have been several remarkable stories of my clients, or potential clients, who have used The Presence Process in lieu of therapy or as a means to deepen outcomes after therapy has reached its limitations. I believe it is a true gift that Michael Brown has given us with The Presence Process. It is a process that is truly essential for our lives today so that we may learn to manage and disengage from the drama that is occurring all around us. 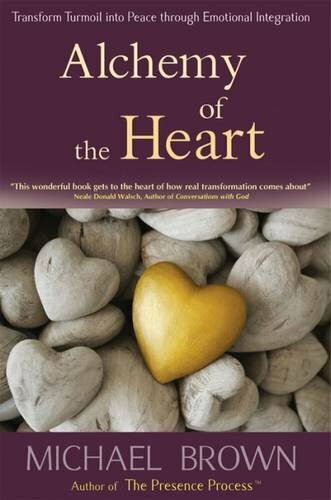 Another of Michael’s books is Alchemy of the Heart. It does not provide an individual process, however is helpful to provide a paradigm for the reader that helps make sense of their uncomfortable emotional experiences. 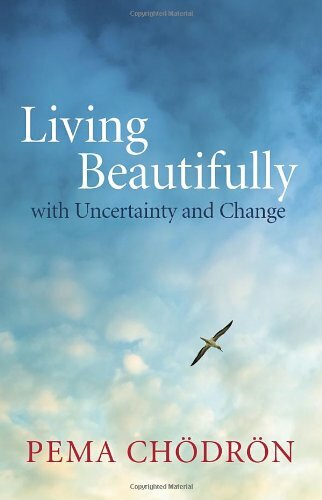 PEMA CHODRON’S books have become my go to for clients struggling between therapy sessions, particularly when experiencing traumatic change such as divorce, loss of loved ones, loss of job, or other changes in life circumstances that result in uncertaintly Her books offer very useable material to ground oneself, find a rational internal discourse, and get a swiftly constructed emotional boundary with drama. Remember when I speak to drama I am referring to the unnecessary, often irrational, emotional intensity that we can find ourselves in when we lack the skill to contain our own experience. Sadness, fear, and painful emotions stem from the truth...drama stems from our irrational mind and unresolved experiences of the past. 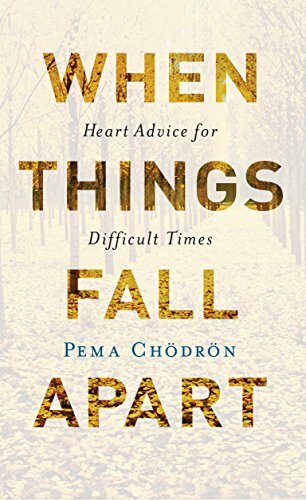 We should all keep Pema’s books handy. 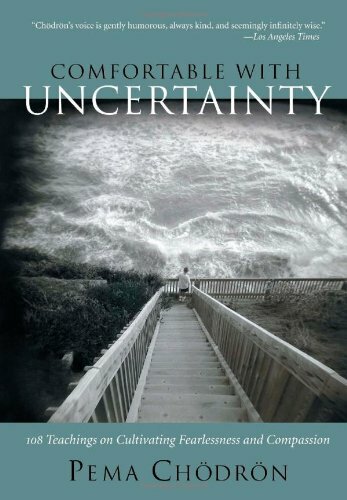 Particularly in our drama filled world with all its anger, hatred, demagoguery, and yes...uncertainty. Have you ever had that experience when in the middle of a Yoga class, or perhaps as has happened to me, in the middle of a long run, you suddenly experience a gust of seemingly overwhelming emotion? Our bodies bear the burden of our emotional experiences and these experiences become trapped emotional energy that under certain circumstances may be released without any warning. What if you could control this experience and actually intentionally move your body to release these stored up emotional energies? That’s what David Bercelli’s book facilitates...the intentional release of trapped emotional experience. I have had several clients over the years who will tell you that they have spent thousands of dollars and hundreds of hours talking to therapists, including myself, about their emotional lives. 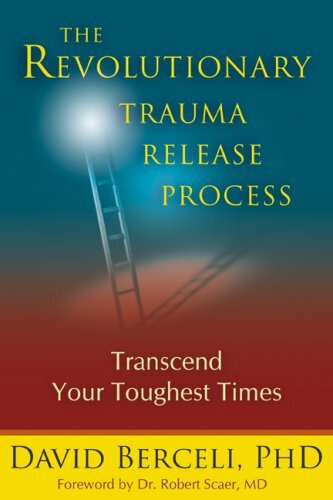 And through all those hours never were able to release emotional content as they were with Trauma Release Exercises. Due to the potentially strong emotions involved I recommend using these exercises while still engaged with a therapist who can assist in sorting through and containing the emotional content. It seems intuitive that the human brain is not prepared to be awakened on a routine basis by the sound of an alarm. This sounds like a way to encourage regular trauma of the brain. It’s as if it gets to awaken to a bear growling at the cave door each morning. Offering your brain a wake up experience that attempts to match with a regular natural biological process of awakening to morning light seems to just simply make sense. 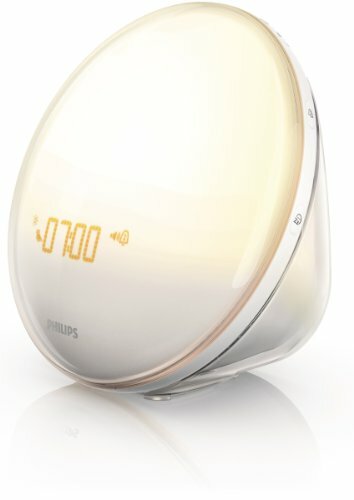 We have had several clients use this and similar “sunlight alarms” and report they feel less stressed upon awakening which lowers their baseline stress and makes for an easier day. 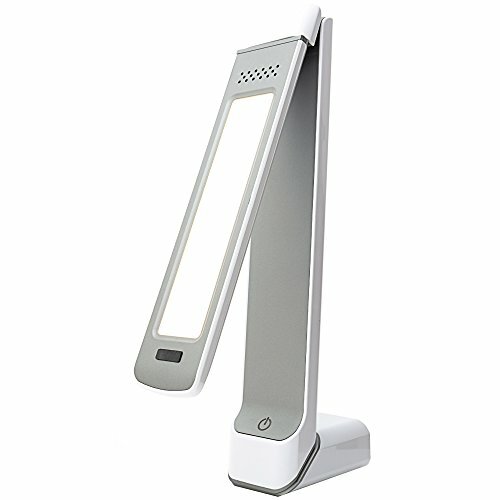 I once had a client struggling with years of Seasonal Affective Disorder (SAD) who I recommended a light box to. After using the light box for a few days he noticed a lift in his depression and greater energy towards life. He was so enthused that he rewired and installed similar lighting throughout his barn where he spent many hours daily working on various projects. It’s been years and he has not had a reoccurrence of SAD since. 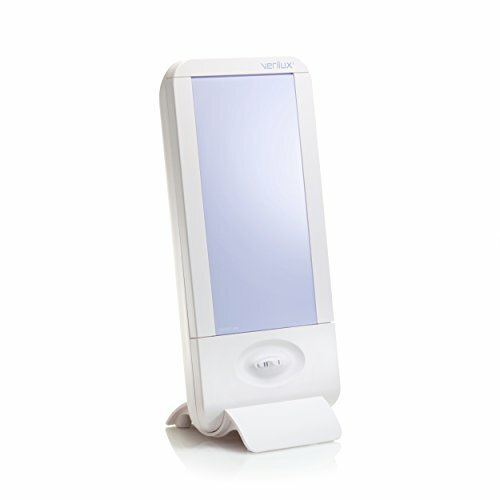 Although we don’t necessarily recommend you rewire and install therapy lighting throughout your house, using these small and convenient therapy lights daily while reading or simply sitting quietly can have a tremendous impact on your moods. SAD is a real and painful disorder affecting many. There are probably many of us who are affected by a lack of sunlight that don’t even know it because the effects are subtle and we never make the correlation. Nothing has had as profound an impact on our clients over the past 8 years than Brainwave Optimization, both as a stand alone alternative to therapy and as an adjunct to therapy. It is important to understand that Brainwave Optimization is NOT treatment. It does not target any symptoms and does not enable the technologist to make a diagnosis. It simply balances brainwave patterns and in so doing may qualitatively impact many areas of a person’s experience. I can honestly say that Brainwave Optimization has consistently had a greater impact on the quality of life for most of our clients than treatment or other alternative options. With the introduction of the BRAINtellect 2, the take home headband that enables regular balancing of brain waves on an ongoing basis, the positive impact on our clients has been even greater. And with a 30 day full money back guarantee it’s virtually a risk free investment. Interested in ordering a B2? You can order online HERE or if local to our Lawrence KS office give Ed a call at 785-218-3965. For more information on Counseling services or to schedule a CERESET BrainEcho™ Consultation & Sample Session! *CERESET and BrainEcho™ technology, are all copyright© Brain State Technologies®. Unauthorized usage is in violation of various countries trademark laws. Brainwave Optimization with RTB™ is not intended to treat, cure, heal, or diagnose any disease, mental illness or symptom. CERESET BrainEcho™ technologyis intended to balance and harmonize brainwaves. Individual results may vary.